What stresses you out the most about cooking? For many, the actual cooking part, the chopping, baking, boiling, that’s the easy part. What’s difficult is coming up with menus, finding recipes, figuring out what’s on hand and what needs to be bought, and making meals interesting for their families. I’m right there with you! Today, we’re borrowing a tip from many restaurants and home cooks, and using the spice cabinet to keep our meals exciting and new, but also super quick and easy. Using spices is essential in my house! Growing up, I remember my grandmother’s massive spice collection. She had two whole shelves in her cabinets devoted to spices, with identical jars, organized alphabetically, on trays, and perfectly labelled. She had everything. Now, granted, some of those spices were probably older than me, but I loved that she could cook pretty much anything she wanted at any time, because she had the spices to do so. Now, I’ve tried my best to keep my spice collection under control in the past few years. Down to one shelf, thank you very much! But, more and more, instead of keeping individual jars of spices or herbs, I find myself marrying them together into spice blends. Rather than take out 10 jars to make one meal, I just have to find one, and I can always adjust it for the meal I’m making. When you make your own spice blend, you have total control over everything that goes into it. Want to make a taco seasoning but your son hates anything smoky? Leave out the cumin! Are you a huge BBQ fan but can't take the heat? Go easy on the pepper! It's so versatile to customize your own spice blend for your families tastes and preferences. For families with food allergies, buying jarred sauces, marinades and other packaged foods can be stressful. These foods can be a hidden source of an allergen and for cross-contact. Making your own spice blends can take some of the stress out of feeding your family. You should still always check the ingredient label of any spices you buy, as there still could be hidden allergens and cross-contact. Using your own spice blends when cooking is by far the simplest, easiest, quickest way to take your meal to the next level. Instead of opening up 10 jars of who-knows-how-old-it-is spices from your cabinet, trying to sprinkle them on your food one at a time, and hoping everything comes together like you expect it to, you can open one jar and be set. Spices are also great to use in some unexpected ways, try adding them to potatoes, grains (like rice, quinoa, or barley), and while you're sautéing or roasting your favorite veggies. You'll find new ways to use your spice blends every time you cook! Choose either all ground spices or all dried herbs in your spices. Don't make a blend with some herbs and some ground spices. The ground spices are heavier and tend to settle at the bottom of your jar, so it's harder to get an even mixture when you're cooking. Use little or no salt. You can always add more, but you can't take away! Most times, when you're using spice blends you won't even need to add salt to your final dish. Make sure whatever jars you use to store your spices are clean and very, very dry. Any moisture left in the jars will cause your spices to clump together. Very annoying. Choose low-salt or salt-free options whenever possible. You probably won't miss it! Visit a spice store (or email one! ), and ask them for recommendations on how to use their spice blends. You'll get some great tips and the confidence to use your purchase with confidence. This is hands-down my favorite BBQ rub of all time! It’s sweet, but not too sweet. Spicy, but not too spicy. It’s flavorful and spiced, but pairs nicely with any kind of BBQ sauce. Need I say more? Get my recipe here. In addition to going perfectly with BBQ meats (ribs, chicken, pulled pork, and on and on and on! 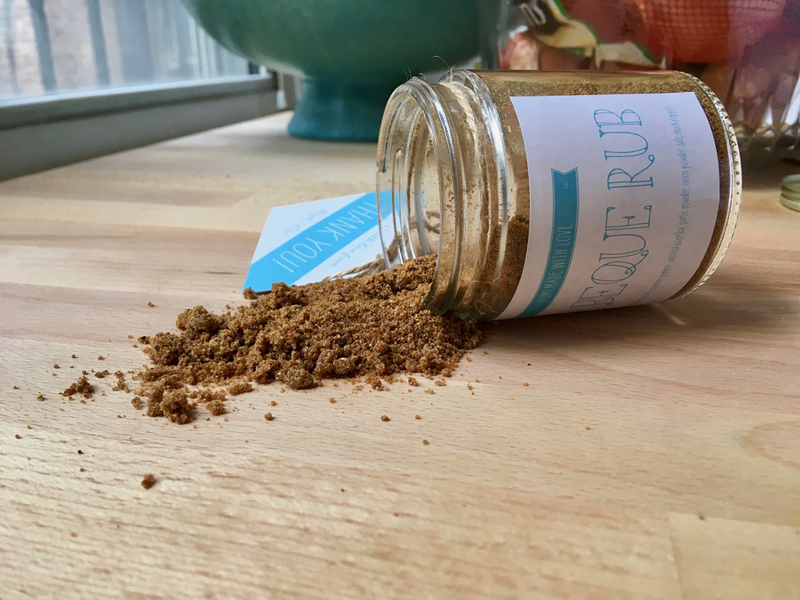 ), this rub makes great vegetarian meals (try it on a tofu or seitan steak! ), or dusted on top of potato salad. You can even try my recipe for BBQ Roasted Chickpeas, an addictive and healthy snack. Taco Seasoning - with a twist! This blend is inspired by the Mexican sauce mole. If you’ve never had it, mole sauce is a thick, complex sauce with more than 20 ingredients! This blend has many of the traditional ‘taco’ type flavorings, plus some mole-inspired surprises like chocolate and cinnamon. It’s fantastic on grilled chicken or pork, and makes sautéed corn and other veggies taste wonderful. This blend is filled with dried herbs, making it perfect to add a nice fresh flavor to your meals. Add to tomato sauce, pasta dishes, or rice as it’s cooking. Mix with some oil, lemon and fresh garlic and it makes the perfect marinade for chicken or fish, or spread onto bread and toast for amazing garlic bread. 2 Tbsp each dried basil, thyme, dried parsley. What is your family’s favorite spice blend to use at home? Let me know in the comments!